You've probably heard the term "osteopenia." If your doctor says you have it, he simply means that you have bone loss, but not quite severe enough to term it "osteoporosis." There is a parallel term for muscle called sarcopenia, meaning muscle mass loss, and it often arrives with age. If you have sarcopenia, it requires working your muscles to reverse it. Unfortunately, those with sarcopenia often struggle to exercise. But there's a way to work the muscles without exercising. You might remember something I've discussed before called vibrational training. Vibrational training is done by a device that simply vibrates at a high rate while you are bearing weight on it. The vibrations impose a micro "g" force on your muscles and bones. The speed of the vibrations causes your nervous system to compensate and make corrections. These don't require exhaustive full-strength muscle work, like you would experience with weight lifting. But the rapid fire definitely tones muscles. Here's proof from a Belgium study. In this study, researchers enrolled 61 men. All of them were older than 60. They divided the men into two groups of 31 and 30. They trained the first group with vibrational therapy. And they put the second group through fitness training. They measured all of the men's isometric strength of their knee extensors (quads), the muscle you use for climbing stairs. They also compared their "explosive muscle strength" and muscle mass of the upper leg. Explosive strength is analogous to the power you'd have in a jump. Then they measured them again one year later. These three parameters improved by 9.8%, 10.9%, and 3.4%, respectively in the vibrational therapy group and by 13.1%, 9.8%, and 3.8%, in the fitness training group. The differences between the two groups weren't statistically different. The authors concluded that vibrational training has the potential to prevent age-related muscle loss. Not all vibrational therapy machines are the same. 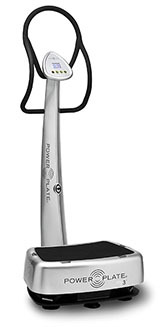 I happen to like the device caller Power Plate. It uses a high frequency, but low amplitude vibration that challenges your muscles, bones and nervous system to positively adapt. Aside from the improvements you see here with muscle, you also can see more mineralization in your bones and improvements in your coordination and nervous system responses. 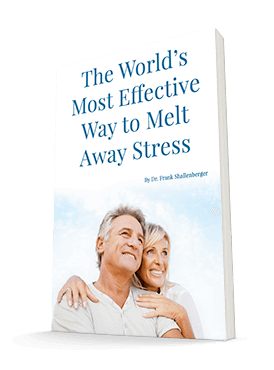 You can get more information on this unique system by following this link to a powerful video. REF: The Journals of Gerontology: Series A, Volume 62, Issue 6, Pp. 630-635.